This past weekend in Washington, DC, the Global Poverty Project hosted a new edition of their Global Citizen Festival , which has been taking place in New York now for several years. This spring version of the free festival was intended to make people aware of the effects of climate change and teach them ways they can be greener in their own lives. The acts that performed — big names like No Doubt, Usher, Mary J. Blige, and Fall Out Boy — all made sure to remind every one of the 250,000 people in attendance that change starts with them. Following that idea, here are a few ideas about how you can stay green when going to festivals all year round. We live in a digital age – why are you still carrying around paper? 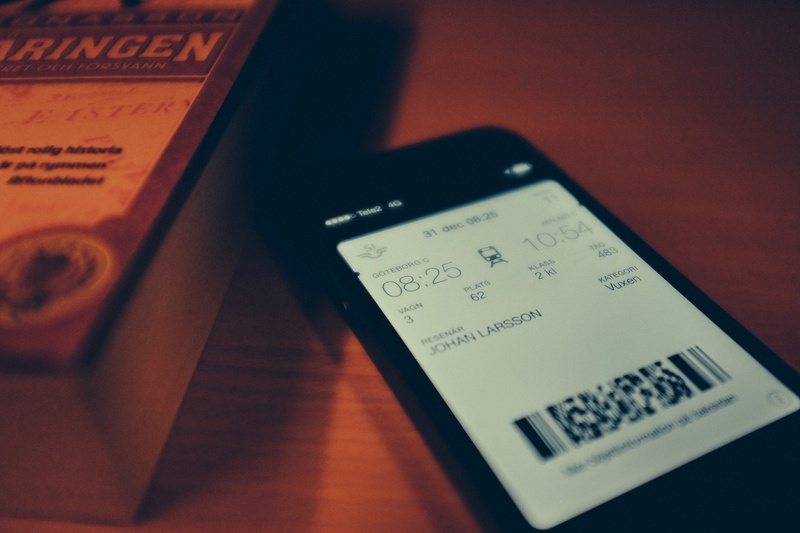 It’s much easier to have your ticket on your phone, and most festivals are prepared for patrons to come with mobile tickets. Also, whenever you purchase anything, decline to get a paper receipt. Is there really any need for these anymore, especially for something like a few beers at a show? There are now hundreds of music festivals of every kind, so there is certainly no shortage when it comes to choice for a concertgoer looking for an experience. With so many options, it should be easy for those looking to be a friend to the Earth to put their money where their environmental allegiances live. Before buying a ticket to any festival, do your research: Do they recycle? Did they go out of their way to work with green companies? If they don’t care about helping the planet, maybe you shouldn’t care about their lineup. Staying hydrated at music festivals is important, but creating more plastic waste is not. Bring a reusable water bottle with you (likely empty to begin with, but most events have refilling stations), which will not only help the planet, but save you money. While you’re at it, you should also consider bringing reusable plates and cutlery with you as well, especially if it’s a festival with camping. This sounds pretty obvious, but anyone who has seen the grounds of a festival after a weekend of mayhem knows there are still plenty of people happy to litter instead of exert even the slightest bit of effort to dispose of their trash properly. If everyone did their part (and if those running the event are on top of removal), the festival would be that much more beautiful and so much better for all those involved. Camping at festivals is becoming more popular, and now even those who aren’t usually campers are getting in on the fun. This means that people are snapping up tents and gear that they might never use again, and every year tons of these get thrown away (believe it or not). Buying previously owned tents and the like is a great option, both for the Earth and your wallet. 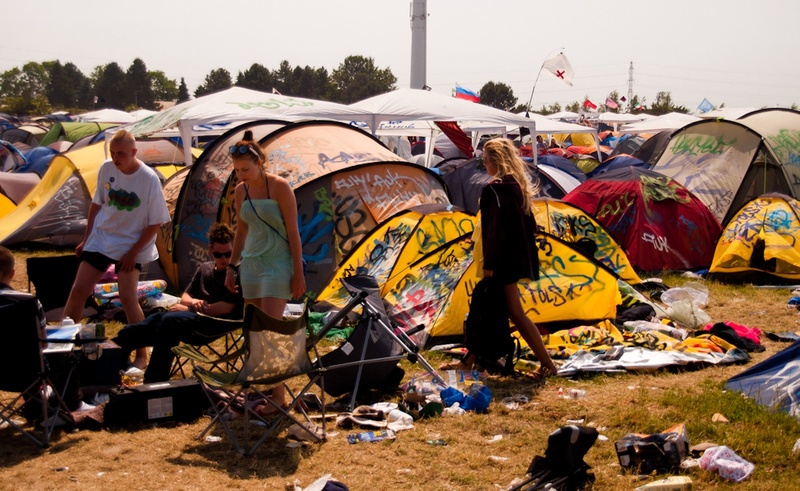 Festival passes are expensive enough – why spend more than you need to? Getting in touch with those organizing a festival has never been easier, and you shouldn’t be afraid to reach out with questions – though whether or not you get a response is up in the air. Social media is a great way to ask those running an event about their greening efforts. If enough people reach out, they may not answer explicitly, but they will see that the environment is something that people care about – and that may affect their decisions in the future. While some might like to spend all summer (if not all year) bouncing from stage to stage, that’s not practical or environmentally friendly. Traveling is one of the least green activities possible, with just one flight doing more damage than plenty of driving. This isn’t to say you shouldn’t visit new places and try new festivals, but perhaps space out your trips to far-off locations. With the way the festival business has been growing, there are likely plenty of events in your area (or within a reasonable drive) worth checking out. Local parties can be a lot of fun, and it’s easy to get a group of friends together for them, so try a new one! If you want to be eco-friendly but there’s nothing around you that strikes your fancy, plenty of festivals are live-streaming their performances these days, so you can get in on the fun without being there. It may not be the same experience, but it does count towards doing your part to help the planet.